Just a few weeks before I took a pregnancy test, I started brainstorming up ideas for new products for the shop. Although I love designing prints, I wanted to create some more practical and hands-on products. I thought about notepads, journals, mugs, totes, etc (which are all lovely and maybe someday they'll be my next thing! ), but nothing felt quite right. Could I create a little spin-off (a deeper + more detailed) version of that packet? Would it be a journal? Notecards? A packet? 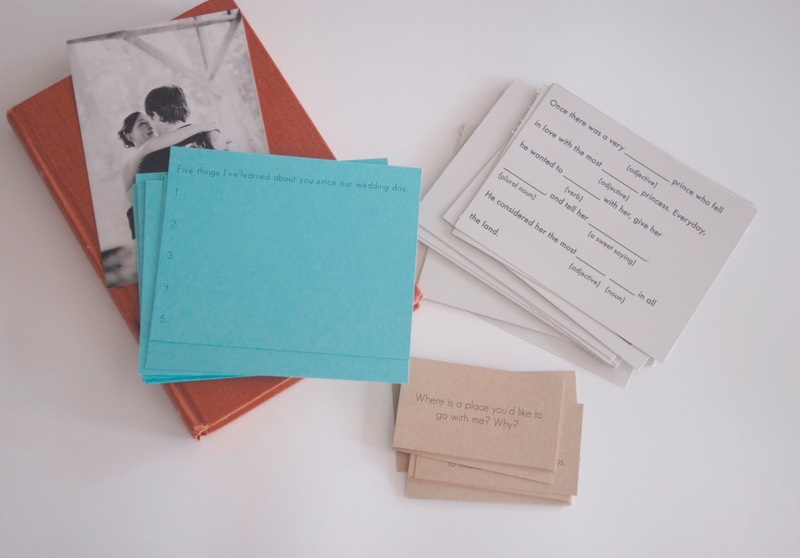 In the end, I decided on notecards because I loved how easy they can travel with you--how simple they are to tape onto a mirror, slip into a lunch box, or grab before heading out on a date. And today (finally, finally!) I am launching what I call the "Marriage Refresh Cards (MRC)" into the world. 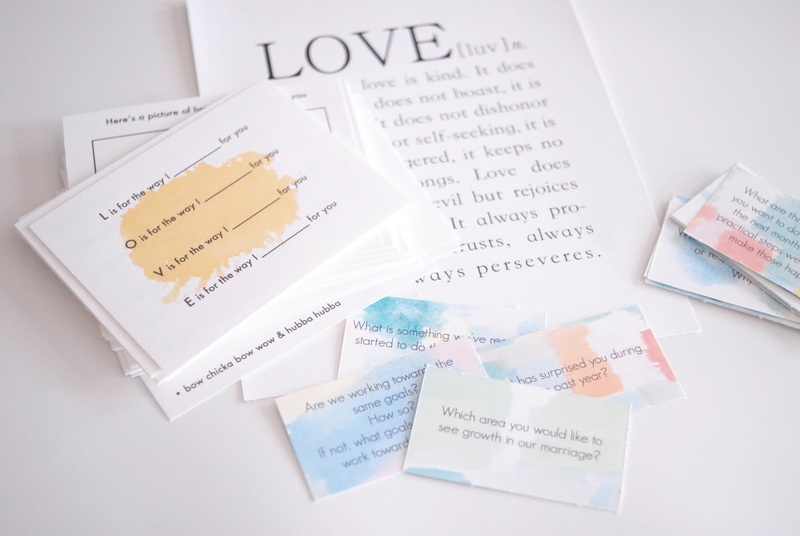 One part of the MRC is a set of encouragement cards for each spouse to fill out for the other. Think encouraging little love notes, sappiness, silliness, and lots of space for written smooches and "wink winks." Sneak them into your spouses suitcase before a flight, slip them into a pocket, tape them to the coffeemaker, etc. Along with the encouragement cards, there is a set of conversation cards that help you dive deeper and dig in harder with discussion questions. There are some questions that may not be comfortable or easy to answer, but there are also questions that leave lots of room for you and your spouse to verbally encourage and love one another. These cards are intended to spark intentional and important conversations. 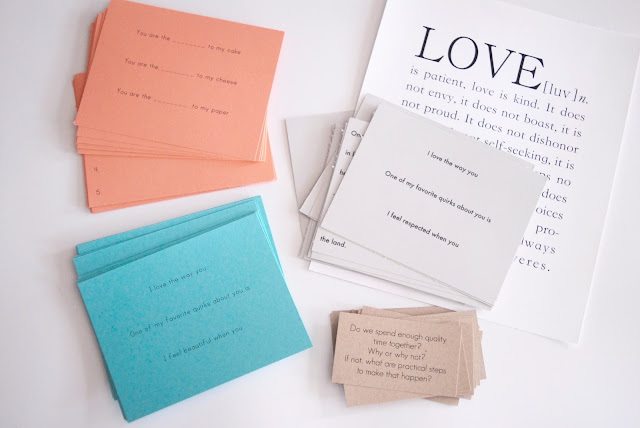 My biggest hope with these cards is that they give your marriage a bit of fun + depth, and that they help you and your spouse connect and go a bit deeper. You can also get a printable version--a simple set in black and white (print on whatever fun card stock/paper you want) or a watercolor version. 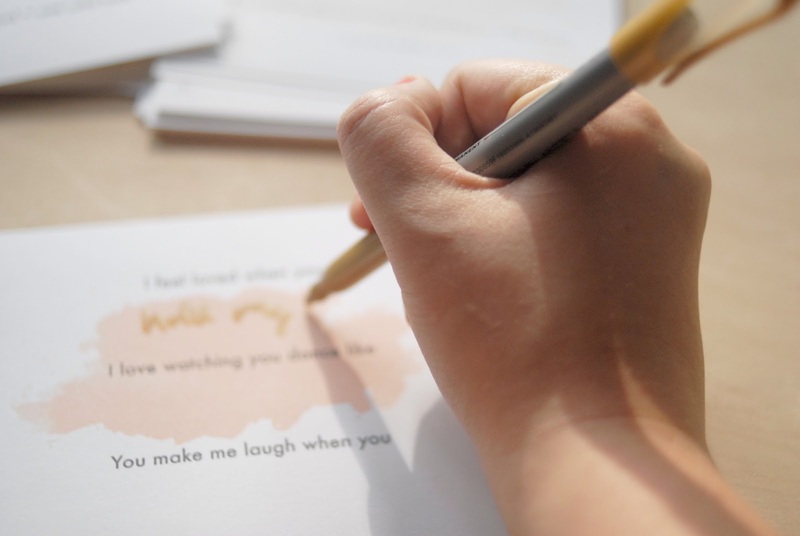 So, if you've been looking for a fun activity for you and your spouse to do, a gift for newlyweds, or want to just have a purposeful marriage rev-up--these are for you! as parents, to be doing something to focus on our marriage." "I think the beauty of the MRCs are that they allow honest thoughts, even when they are sometimes hard to say out loud." 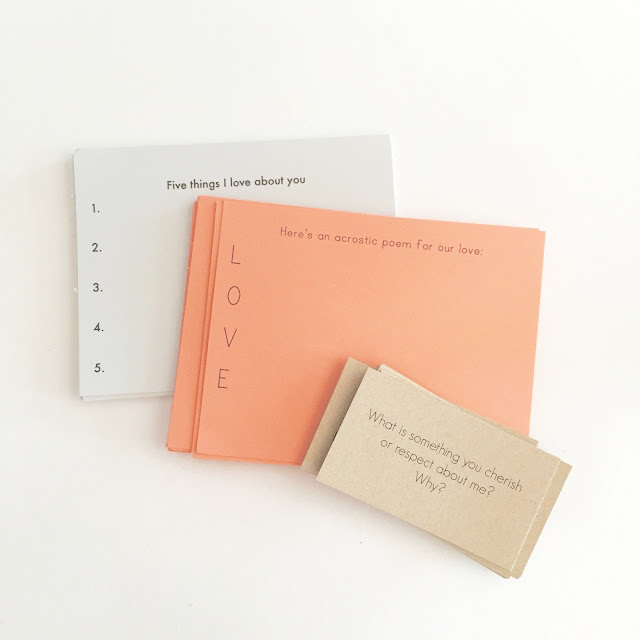 "The cards are super easy to use and set us off on meaningful conversations." "They helped us be on the same page and have open and clear communication about things we wouldn't otherwise talk about in general conversation." I love this!! My husband and I have been meaning to do this.